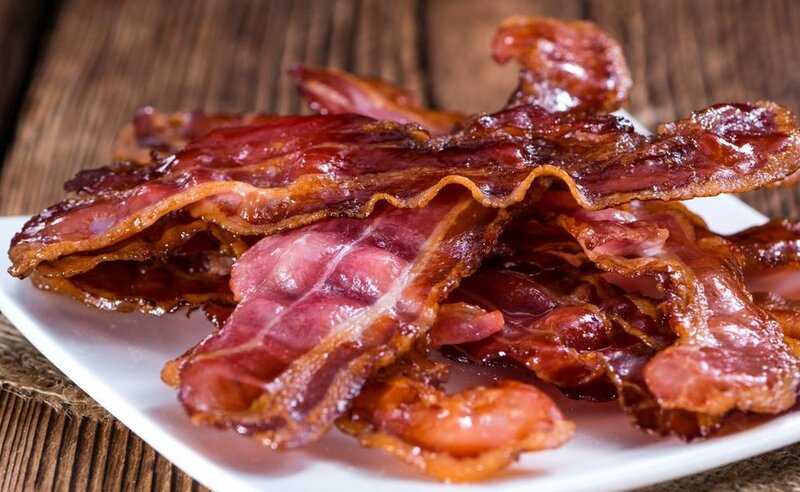 Free bacon on January 29! Yes, you read that correctly. McDonald's happy meals, and everything else on the menu, just got a little happier on January 29 thanks to its offer of a free side of bacon for all (with any purchase). It's been a big year for America's favorite side meat at the golden arches. McDonald's recently announced the addition of the Big Mac Bacon, the Quarter Pounder Bacon, and Cheesy Bacon Fries, to the menu sometime in late January. And to celebrate the fast-food chain is letting you indulge your bacon dreams from 4-5 p.m. local time on January 29 (at participating restaurants, which is most of them). "McDonald’s is hosting a first-of-its-kind, nationwide bacon bash called Bacon Hour. For 60 minutes, customers will be able to get thick-cut, Applewood smoked bacon with anything on the menu, at no additional cost. And is there anything better than free bacon? (Spoiler alert – there isn’t)," said Mickey D's in a statement. It's your chance to add a strip or two to your apple pie, pork up your Filet-O-Fish, create a bacon-loaded sundae, all for free. Seriously, the combinations are only limited by what's on the menu (and possibly by your tastebuds if you take the combinations a little too far). The free offer will include a side of two half pieces of bacon with any purchase. Customers are limited to one free side of bacon with any order. Will you be taking a bacon trip to McDonald's? What menu items would you want to add bacon to? Let us know in the comments.